In my aim to earn more money online, I have tried selling mobile phone e-load online. The e-load is a great business if done properly. But I could say that selling e-load is susceptible to credit card fraud. So this is my story. Last March, 2011, I tried selling mobile phone e-load. I made my landing page and make a button from PayPal so that I could accept payment thru PayPal. After making successful SEO ( Search Engine Optimization ) with my landing page as well as social media marketing, lots of orders came to my e-mail. Most of my orders came from an Indian e-mail from PayPal. So after receiving their payment thru PayPal, I begun sending the e-load number to the e-mail they used in buying through PayPal. But it is a big mistake not to make sure that my buyers are verified buyers. I sold a total amount of $ 400 with a capital of $ 300 until I realized that I am running a bad business. The item was much different from advertised. Their credit card was used without their permission to buy the item fraudulently. Chargebacks are initiated and handled by the buyer’s credit card issuer – not by PayPal – and will follow that company’s regulations and timeframes. That said, PayPal often plays a role in resolving chargeback disputes. It is a reversal of an amount paid. The amount will be removed from your present PayPal account balance. It happen because the credit card company notifies PayPal’s merchant bank and debits the funds from PayPal due to fraudulent use of the credit card, which only means that somebody might have use a stolen credit card details and use it to buy an e-load by using a PayPal account. How do you dispute a chargeback? In these and all other chargeback cases, the more relevant information you can give, the better your chance of winning. Sad to say that I don’t have such details since my transaction are all electronically done. I cannot prove that I have delivered the item by just merely sending them a copy of the e-mail conversation that I had with the buyers. All my claim to get the amount failed. The worst thing is that some forum says that a chargeback has a time limit of 1 year. It only means that any seller could receive a chargeback after a year of transaction, which could definitely drain the business. I am still thankful to God that I have known this thing before it can cause me much damage in my business. So I will make a suggestion on how to safely receive payment for your online transaction if you are selling something on the net through my next post. if some of my readers do have some experience with PayPal Chargeback or credit card chargeback, please share it here so that we can gain more knowledge about this fraud. This might also be a reason other company such as Dreamhost is not accepting PayPal as an first payment. and one of the reasons why the PayPal withdrawal has been deactivated in India. I managed to win 98% of the disputes that took me for about 7 months and 25K pesos worth of international phone calls + internet time + effort + headaches. I lost 8K more for same hacked account on which I lost the dispute. Hello there! Thanks for the info about the PayPal Chargeback. My plan pa naman sana ako na mag sell din ng e-load online and accept payments thru PayPal. Yup. that is why, seller needs to find a ways where they will be protected from scammers as well. But whenever it deals with credit card, scammers could always use the charge back methodology. @Dexter, That’s true sir Dex. Thanks din.. Take care din sa tatay mo..
pareng dex ito naman opposite case nangyari from yugatech. Salamat pre.. naku kung si abe nga nadale din ng hacker.. need to be more secure..
oh my ang hirap nyan. O_O Anong klaseng load binibenta mo sa India? O_O Globe and Smart autoload and e-load din? Nag benta ako ng load from Saudi Arabia.. Which actually cost $40 each. kaya medyo nalakihan ako he he he ..
What if you only accept transactions from a VERIFIED paypal account, will that work? It might work, but the problem is that when they claim that they did not received the e-load, you will not have a strong case and will end up paying PayPal. But if is a tangible good, a signed receipt copy will always help to win a charge back. Actually those receipt will not mean anything kasi di naman kayang e relate ang phone number to the name of the owner. Pwede nilang sabihin na may gumamit ng credit card nila and use paypala to pay. Risky pa rin in my opinion. @Dexter, I see. I guess, bank transfer or Smart Money or GCash or WU ang mas magandang option then. @Paolo, paypal verification method has been made easier these days most especially with the help of virtual credit cards. Scammers could just use virtual CC to verify their paypal account. I think the best thing is now to engage in such transaction if you feel different about the person buying from you. I had this kind of experience before. I was scammed for several $s too. 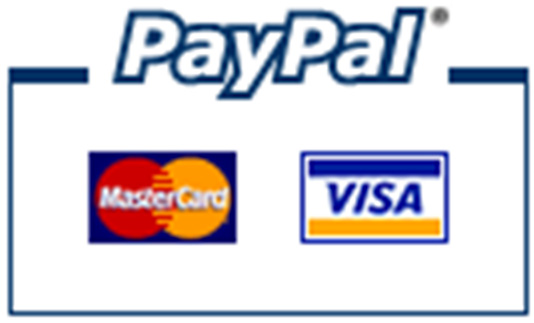 I stopped accepting paypal payment when I got to send e-load from paypal customers. better to accept other payment methods. Or you can require your customers submit proof of identification so that you will have their identities. well, after the incident, I only accept Unionbank online transfer when selling eload online. The business is temporary on hold for I am still thinking of other ways to reach the customers via an online eload store. But are you still in the business ?.. any tips on how you are accepting payment now a days. I would like to educate our fellow online marketers on how to sell safe online. Thanks for the info. So sad that I have to learn it the hard way..